We were appointed as landscape architects by a developer client for this proposed residential development located in Green Belt. 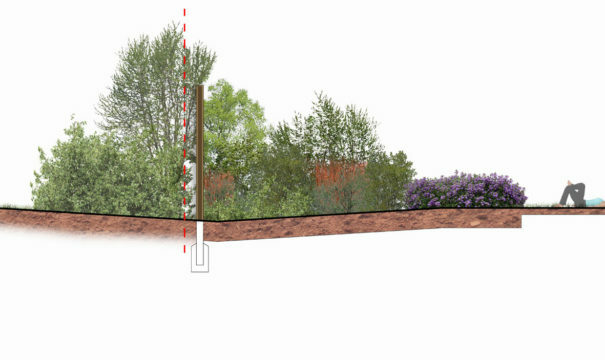 We were tasked to develop a landscape design to the satisfaction of the client and other members of the design team. 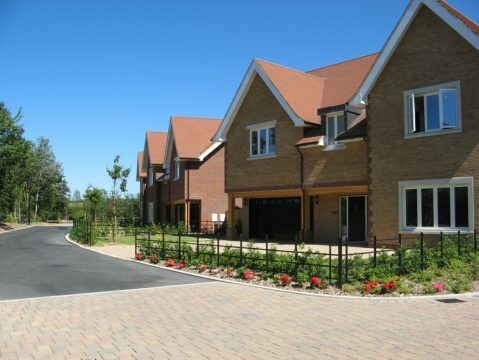 We then provided landscape architect ’s information to satisfy Reserved Matters Conditions, this was followed by the production of coordinated external works tender package of information. Finally, landscape architect’s inspection reports were required as the external works proceeded on site. The site is located at the eastern edge of the village of Bulphan and is bound on all three sides by mature hedging, this hedging was to be retained. It is surrounded by public highway, with the A128 Bulphan By-Pass being located along its western edge. A significant number of mature trees are located within the existing hedge and these were also to be retained. The main body of this development site was covered by ruderal vegetation with a number of dilapidated agricultural building and stands of pioneer tree species scattered across the site. Our landscape architect’s remit was to provide a high quality setting for the proposed detached dwellings in this rural location. 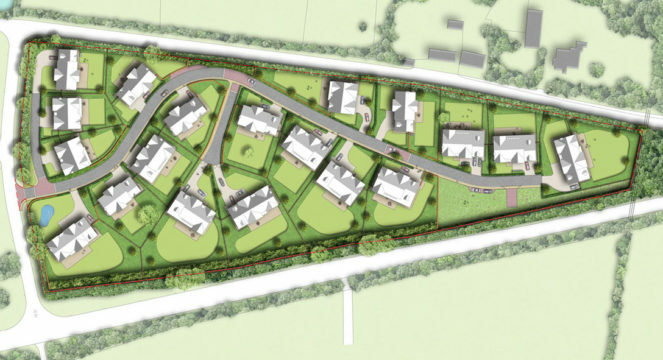 Our landscape architects gave careful consideration to the layout and levels of the spine road, ensuring the existing topography worked efficiently with the proposed carriageway and FFLs of the dwelling. All parts of the site were designed so as to be DDA compliant. 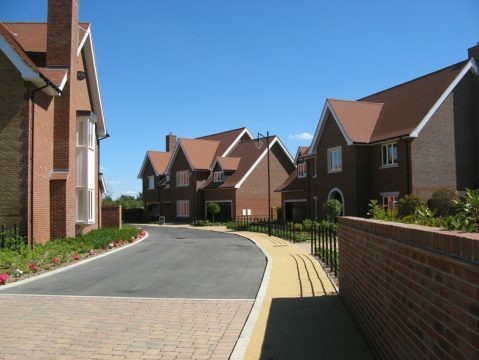 The carriageways and footways were designed as a single level surface, with paving colour providing a visual indication of ownership and a dished drainage channel providing separation. 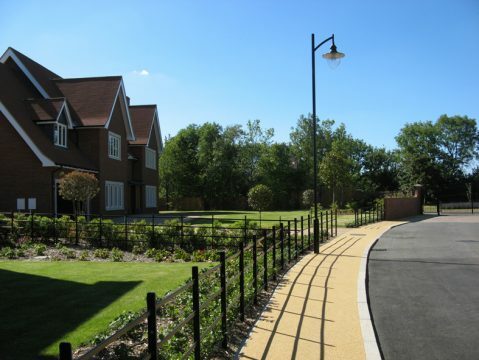 A SUDS strategy was incorporated into the landscape design, this minimised the volume of surface water being discharged into the surrounding rivers. 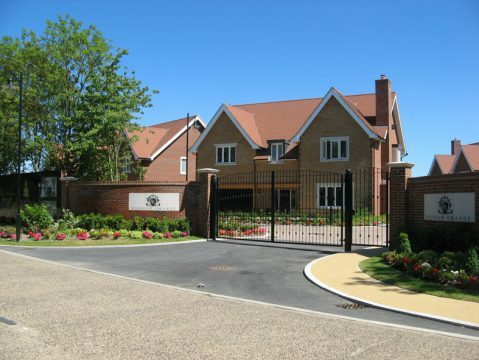 Along the western edge a Thames Water asset has been incorporated into our landscape design.